Tourism in Portugal has never been so hot. The country is the destination of the moment, rich in culture, beautiful natural landscapes and a welcoming people ready to receive visitors. Check out this jewel of southern Europe and fall in love with Portugal like us! From north to south, on the mainland and on its islands, Portugal is a small country, but giant in variety. See what are the Top 10 Destinations in Portugal and understand why we are so passionate about Portugal. 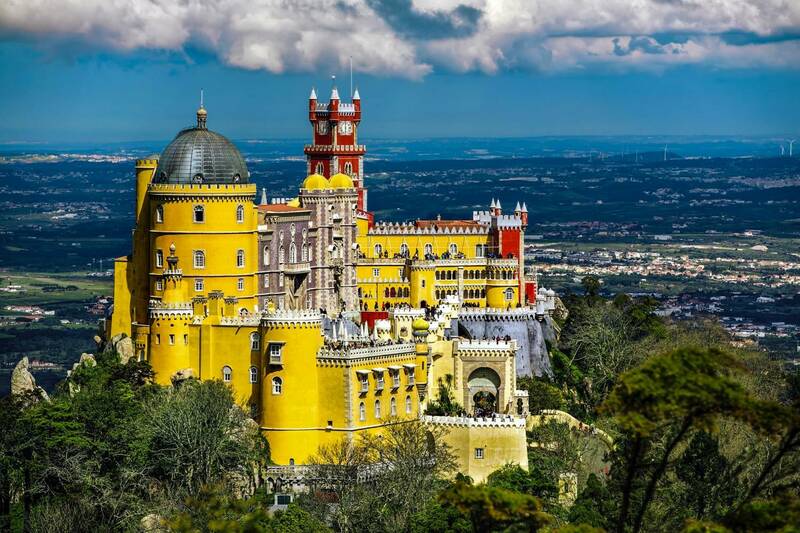 Palácio da Pena, uma das atrações mais lindas de Sintra. The almost official fairy tale city of Portugal, Sintra is everything you expect. Between the hills there is a beautiful small town, with history in every building. Sintra is Portugal’s pride of a reason, and everyone visiting the country should go to Sintra at least once! You will fall in love with the castles, palaces and old charming streets. Very close to Lisbon, you can very well see Sintra in a day and then go back to the capital. In anyway, you cannot miss Sintra! The incredible cliffs of Ponta da Piedade, a few minutes drive from the center of Lagos. In the incredible Algarve region, south of Portugal, lies Lagos. The charming little town balances its history and tradition with one of the most cosmopolitan places in the Algarve. 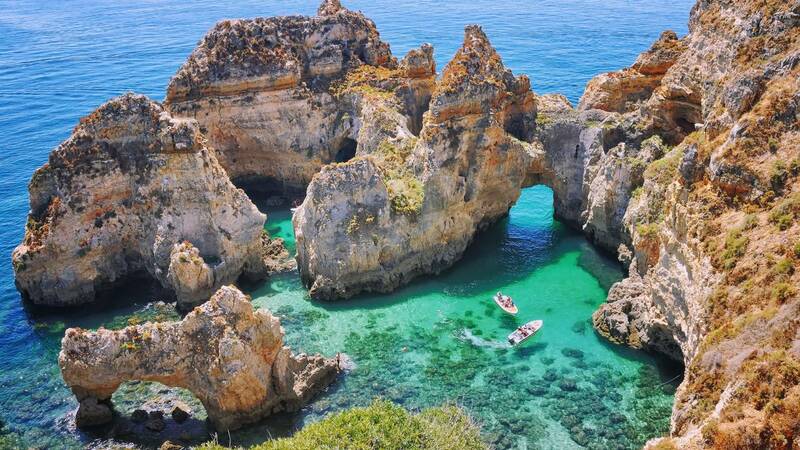 Lagos is distinguished by the caves and rocks that decorate the beaches sheltered in the bay, making it one of the most diversified and visited areas of Portugal. As a holiday destination, Lagos offers visitors glorious beaches, vibrant nightlife and a beautiful historic center which has retained its character and traditional charm. One of our favorite places in the whole country! Cabo do Espichel, one of the main attractions in Madeira Island, Photo by Adam Smigielski on Unsplash. Surrounded by the Atlantic ocean, the Madeira Island is the main one of a 4 volcanic islands archipelago, colonized by Portugal in 1425 and bathed by sun the entire year. 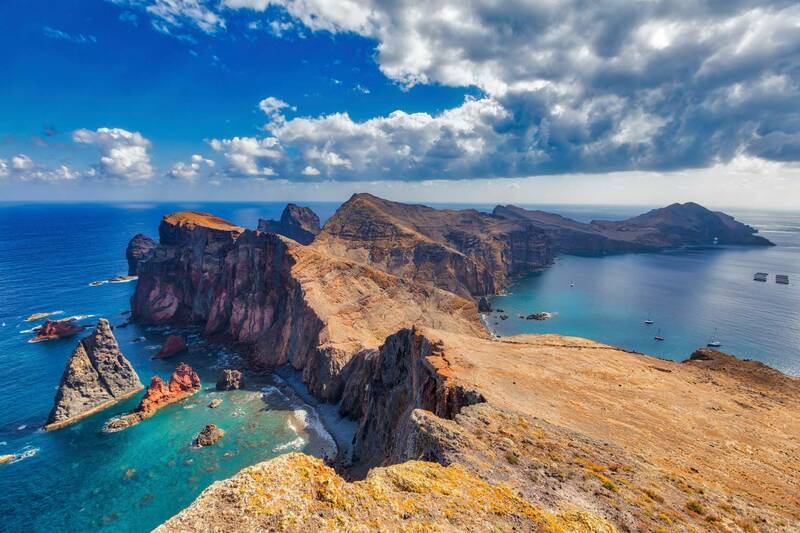 The Madeira Island won again in 2017 the “Europe’s Leading Island Destination” Award, from the World Travel Awards, and is understandable. The island has that European charm and the subtropical climate with fascinating geography. The island of Madeira is a visit that appeals to all types of travelers. The fact that they use the euro as currency, have cheap flights from the mainland and have a population accustomed to tourists is a big draw. Porto’s riverside area, one of the most enchanting landscapes in Europe. 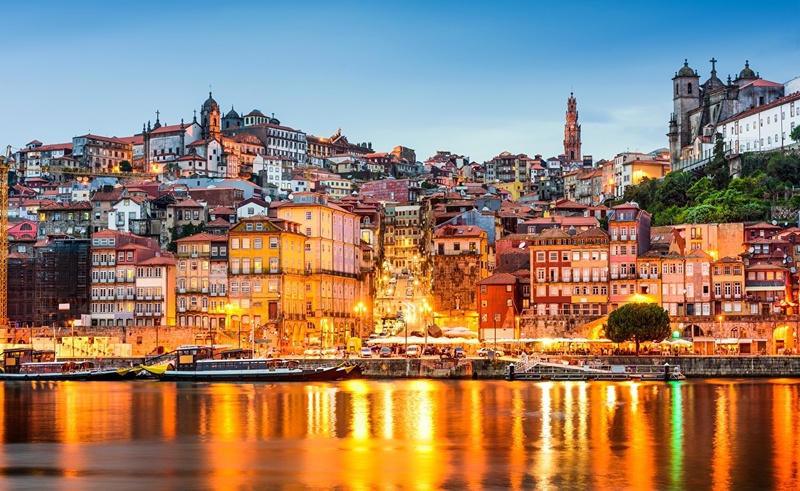 Porto is an enchanting city, established on the hills at the mouth of the Douro river. Designated an UNESCO World Heritage site for its historic buildings and outstanding monuments, highlights of Portugal’s second largest city are a must see! Porto offers a compelling synthesis of ancient and contemporary attractions. It all combined with the energy that a big city offers, with boiling cultures in diversity, between the Portuguese traditional settings. A vila e o castelo de Óbidos, a 1 hora de Lisboa. 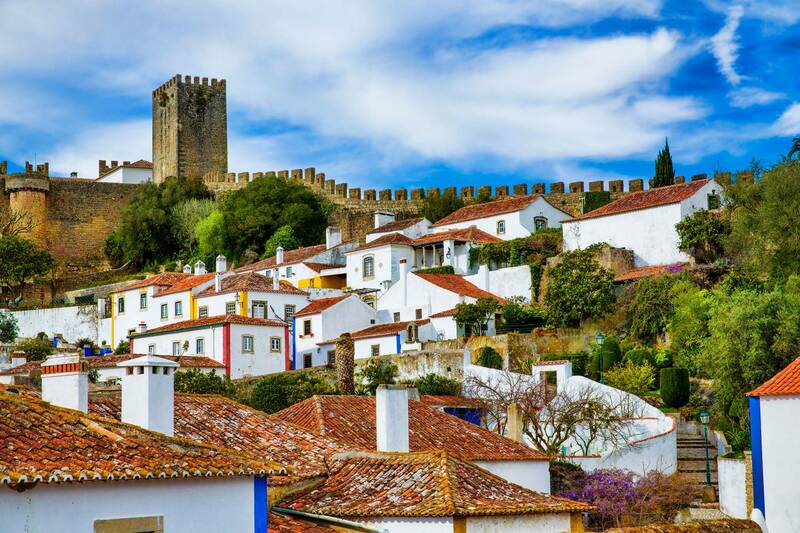 The medieval town of Óbidos is one of the most picturesque and well preserved in Portugal. Quite close to the capital and located on high ground near the Atlantic coast, Óbidos has had a strategic importance in the territory. The castle is open all year round, and you can walk on its walls for free! If you really want to live a fairy tale, there are also rooms you can rent inside the castle, since it works as a hotel nowadays. The castle has many activities and attractions all year round, which you can check out here. A antiga Alfama, bairro charmoso de Lisboa. 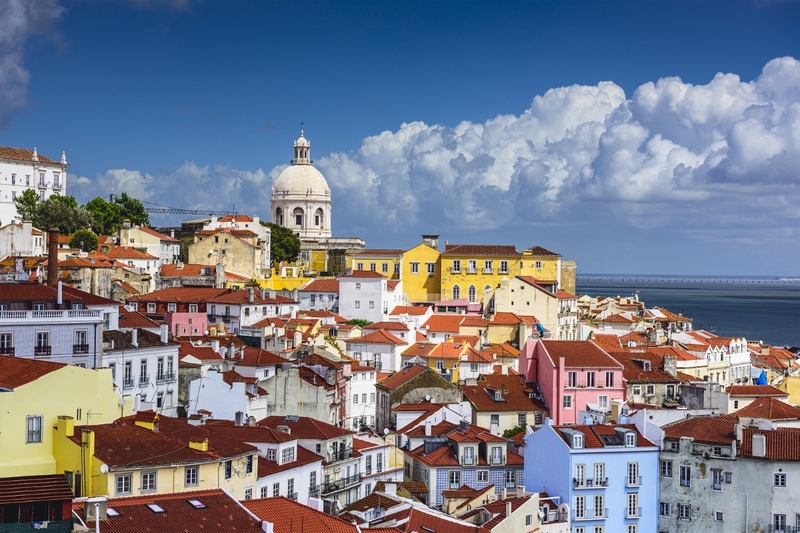 The eternal Lisbon, capital of Portugal, is the cosmopolitan capital of the moment. The beautiful city has never been so fashionable, and with total reason. The streets of Lisbon are intertwined in old and new, Moorish and Portuguese, as the sea and the river embellish the landscape. Lisbon is a large and safe European city, full of rich Portuguese culture, unique architecture, electric streetcars through narrow streets, cool parks, good street art, renowned museums, restaurants and a very pleasant climate. It’s in the center of the world in this 2018. Albufeira is a perfect summer holiday destination. With the most energetic nightlife of the entire Algarve region, Albufeira is the destination for your summer with friends. The city is beautiful, and well located in the center of Algarve, close to every one of all the paradisaical beaches of Algarve. From Albufeira, you can take a boat trip and visit the incredible sea caves of the golden coast, see the dolphins and discover desert beaches. Don’t worry, because the city also has a good offer of nice pubs, bars and restaurants. The party never stops in Albufeira, for friends of family. Braga is a city in the far north of Portugal, northeast of Porto. Situated in the far north of Portugal, northeast of Porto, lies the beautiful small Braga. It’s known for its religious heritage and events, and also the fantastic pieces of architecture. 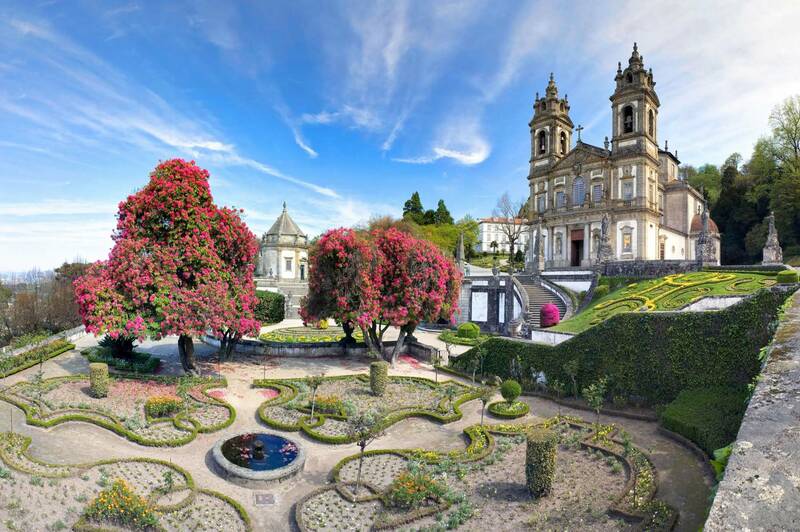 Braga has quality museums, a welcoming population and a cultural calendar to envy any city of Portugal. From there, you should also check the cities of Guimarães and Barcelos, in a short distance and totally worth a visit! And a tip for you, you can see it all in one day! The beauties of northern central Portugal. 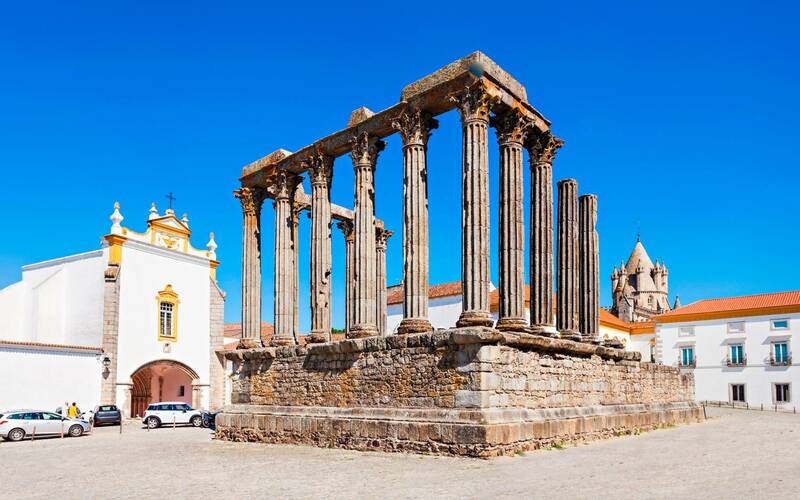 Monuments in the city of Évora, in the interior of Portugal, the beautiful Alentejo. In the center of the Alentejo region, interior of Portugal, lies the city of Évora. The city has a great quantity of archaeological spots, and the ruins of ancient roman temples decorate the place. As a small town in central Portugal, Évora’s streets have the charming portuguese style, and give you the sensation of being somewhere time didn’t pass. And know this: you will be in the region of (in our opinion) the best Portuguese wine! Enjoy. 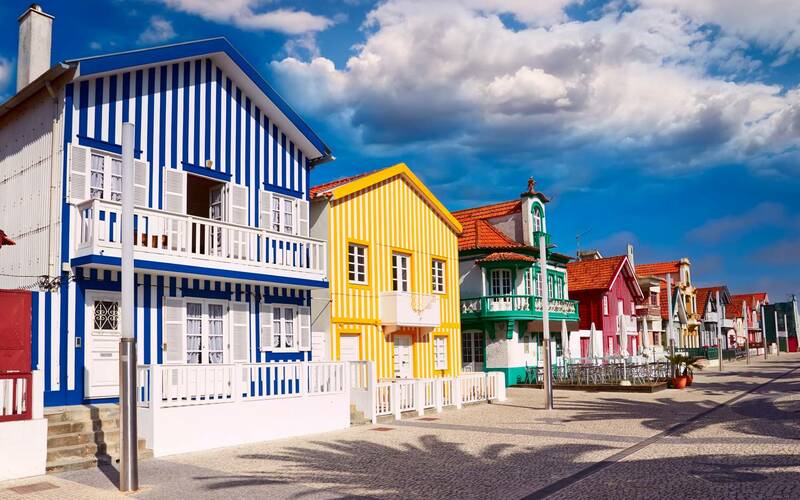 The typical colorful houses of Aveiro, primarily simple fishing houses that attracted tourists. Also known as the Portuguese Venice, Aveiro is a charming instagrammer town in Portugal. The town has an extensive history which is closely intertwined with the growth and decline of its port and saltwater lagoons. Aveiro is crossed by canals and along these waterways colorful and traditional fishing boats sail, occupation that used to be the main activity of the city. These colored houses are the ones the fishermen lived in a long time ago, with quite a style. albufeiraaveirobragaevoralagoslisbonmadeira islandobidosportoportugalsintra Post written by Letícia Melo.